More than a luxurious hotel, The Ritz-Carlton Coconut Grove, Miami is a fitting locale for a special event, important meeting or memorable function. Along with manicured gardens and a delightful pool, the hotel features extensive event and pre-functions space, including a 3,200 square-foot garden courtyard and the 5,200 square-foot Ritz-Carlton Ballroom. The relaxed, elegant setting is ideal for conducting business, while offering numerous stress-relieving activities nearby, along with a Fitness Center and Boutique Spa, which is known for its personalized service and treatments. 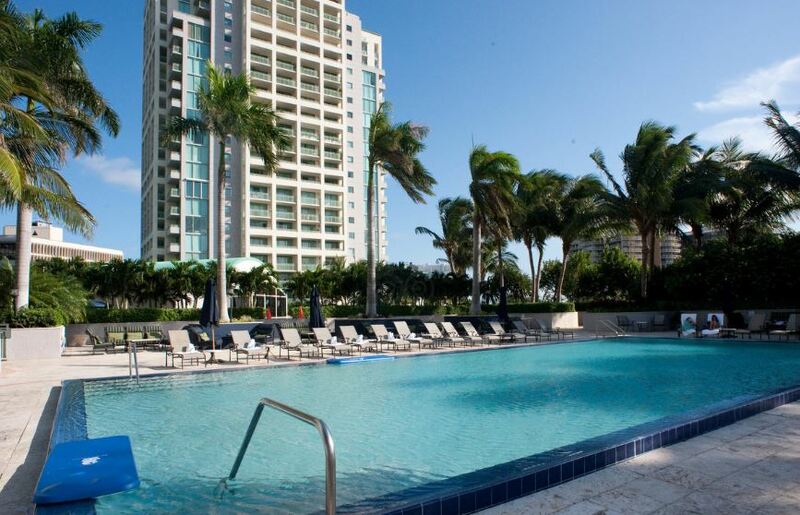 The hotel’s 115 guest rooms include 18 suites, spacious balconies and floor-to-ceiling windows offering views of the Miami skyline, gardens, pool. Biscayne Bay or the surrounding neighborhood. The finest culinary creations are offered in a variety of dining options at the hotel. Bizcaya offers Mediterranean Bistro cuisine for breakfast and lunch. The Private Dining Room, a glass-enclosed enclave inside Bizcaya, offers an intimate setting for small business dinners, wine dinners, or special occasion. Guests can also relax in The Lobby Lounge with light bites and libations in a Renaissance villa setting. This chic oceanfront hotel is a 5-minute walk from the Dinner Key Marina, and a 15-minute walk from the Coconut Grove metro station. Villa Vizcaya, a museum and gardens, is a 2.5-mile drive. The special room rate of $179 has been established to make your reservation process easy. Simply call 305-644-4680 and give the group name LATAM Shared Services or click here to book online. You must make your reservation no later than July 30th, 2018. For your convenience, the special rate has been extended to three days before and after the conference. You can also use the booking link below to make a reservation online. · IQPC has been made aware that a service provider called Exhibition Housing Management has contacted a number of individuals who are attending SSON, quoting the event, to offer hotel reservation services. · Please note that Exhibition Housing Management does not represent IQPC or SSON, nor have we authorized them to use our names or trademarks on information they send out to exhibitors. While we do not know enough about this third party’s intent, we recommend you reserve rooms with hotels listed on the conference web site. · IQPC does not contract with any third party vendors to provide hotel reservation services. Any company saying or implying they are affiliated with the SSON event for this purpose is not being truthful, and they cannot offer you the terms IQPC has negotiated with the venue. · No one should contact you directly to book your hotel room or offer you a “special discounted conference rate” or “can save you $30.00 off your room rate.” If you receive one of these calls or emails, it is a scam. They are not associates of IQPC. · If you receive a phone call from someone wanting to speak to the “tradeshow coordinator or the person who is handling SSON that your company is attending,” it is a scam and they are not affiliated with IQPC. · If someone emails you claiming to be from any exhibitor or operations department, and the email is not from a iqpc.com email address, do not share any information with them. The company is not affiliated with IQPC and it is a scam.